Whats up with Matty's interrogation of Cain? FFS I hope he hasnt been back to Charity's bed? Whata F'd up story that would be. Yawnsville Seriously. How much will Lachlan reveal? In the prison, Robert faces Lachlan and demands he reveal where Rebecca is. Lachlan toys with Robert, who listens in horror as the teen explains his plot to kill him and Liv. Robert is stunned when Lachlan reveals he didn't kill Rebecca. Robert implores him to reveal where Rebecca is, but will Lachlan cooperate? Meanwhile, Rebecca is alarmed when the nurse suddenly comes towards her with a syringe, and it looks like it's going to end badly. Elsewhere, Joe instructs Graham to only speak to him about the business, determined to prove he's in control. 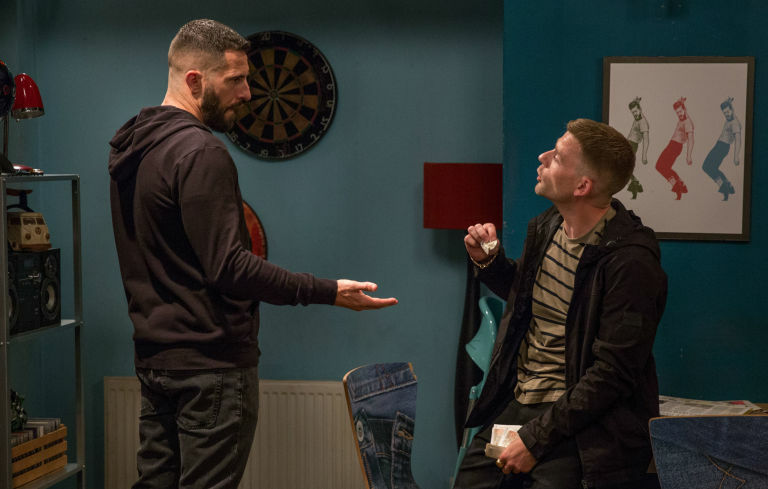 Graham urges Joe to protect his interests and warns Joe to think of the consequences. How will this affect things with Marlon? Marlon is taken aback by Ellis's attitude towards his mum and asks Jessie whether there is something going on with Ellis. Later, Jessie reveals a shocking secret. Elsewhere, Cain is riled by Ross's presence. Ross is rattled as Gaz arrives with more drugs. Later, Ross spirals out of control. Meanwhile, Jessie tries to salvage a relationship. His drug use finally comes back to haunt him. After another drug-fuelled party, Ross struggles to cope with his comedown as he looks after Moses. While out with Moses, Ross takes out a small bag of drugs. 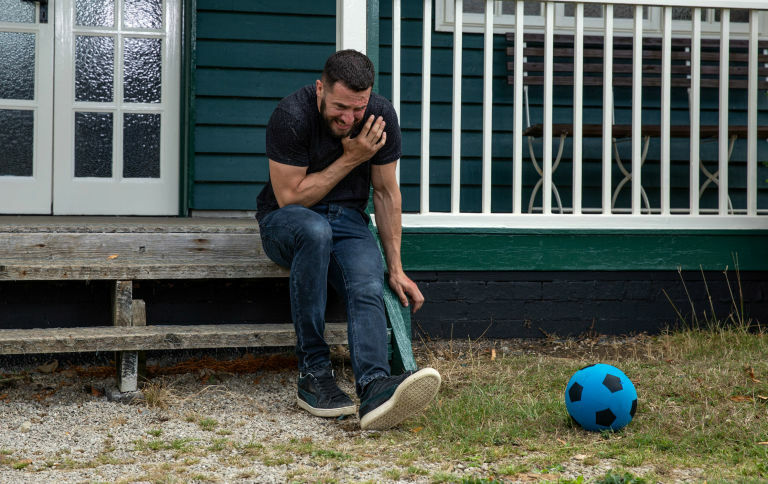 As a result, he is full of energy as he plays football with his son, until he suddenly collapses to the ground in agony. Ross clutches his chest and eventually passes out, as Moses heads off towards the bridge. Meanwhile, Jessie fears for the future. His young son could pay the price. Moses is placed in danger after Ross's collapse. Meanwhile, Matty becomes aware of there being a secret in the Barton family after overhearing Cain and Moira talking. Elsewhere, Jessie and Ellis are divided. How much will Cain reveal? Matty interrogates Cain after what he overheard yesterday. Meanwhile, Chas tells a hungover Charity to pull her weight. 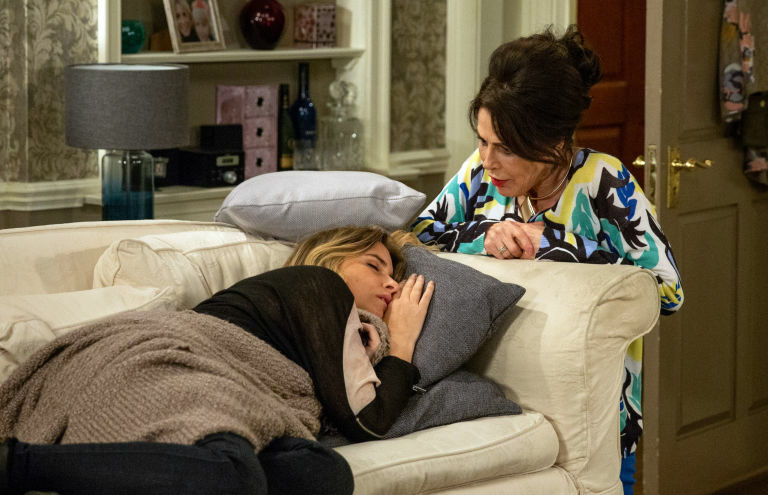 Faith also urges Charity not to drive Vanessa away. Elsewhere, Bernice is urged to take action. No doubt Saint Cain and Moira will step in and take Moses, pair of hypocrites. If Ross is going to go out as the villain then let's hope he exposes that murderous woman. Oh get over it. Moira had good cause in pushing that "Murderous Woman EMMA" over that bridge. Emma couldn't take herself out so she used Moira. And WHY would Cain & Moira take Moses? He HAS a mother. Last edited by kiwigirl; 13-09-2018 at 06:19. This is my opinion. I know you happen to love these characters but I don't, maybe that's something you need to "get over". As for Moira killing Emma, it's still a crime that her innocent son is paying for, it's still a crime that she's gotten away with completely! Imagine her walking into he police station and saying "Well I did kill her but she also killed people and wound me up so just let me off with community service please?". Pretty much all of the village are criminals but I personally just find Moira to be the biggest hypocrite of the lot. Also, Charity is drinking herself into a state the same week that Ross collapses, that's why I'm thinking Cain and Moira might look after Moses as Charity won't be in a position to either. I could be wrong, but there's no need to make out like what I'm saying is boring. it's just my opinion. The biggest thing for me was Moira's attitude over the acid attack. Don't get me wrong, I wasn't expecting her to turn on Debbie completely but she treated it like such a non event which imo goes against everything that she used to be as a character. At one point she actually had morals, but Cain has taken that away. I used to like her! Last edited by alcapo11; 13-09-2018 at 14:06. Imagine her walking into he police station and saying "Well I did kill her but she also killed people and wound me up so just let me off with community service please?". But Moira DID walk into the police station and confess that she murderered Emma. The police just chose not to believe her. Well Moira really does get under your skin doesn't she? Your entitled to your own opinion, your right and I apologise if my comment has offended you. But the fact remains, Moira accidentally pushed Emma off that bridge, she had no intentions of killing that sicko. In fact she tried to talk Emma down. And if you can remember, Moira DID go to the police and confessed all. But was turned away by the Police as a distressed and traumatised mother defending her son. And I cant see Moira & Cain taking Moses. Charity has Vanessa, Faith and ever other Dingle out there to help her. But if Cain & Moira do take Mose's, well good for them. Goes to show that Moira will be there in time of need for Charity, and that's a good thing. As for "Moira's attitude over the acid attack", she explained to Cain that she was in no place to judge Debbie, as she "accidentally" killed Emma. Which was the most stupidest story-line to date. Emma should have died at her own hands. All alone, jumping to her death and not to be discovered for hours. That would have been poetic justice for James & Finn. And finally in your own view, you find Moira the biggest hypocrite? I cant understand that part? In your own words most of the villages are criminals. So where is Moira's hypocrisy? I think Moira has redeemed herself time and time again. She tries to do the best she can for her family, which includes Cain. No soap characters get under my skin, I just prefer some to others. The characters I really don't like are people like Debbie who truly have no redeeming qualities in my view. The point I was making about Moira's attitude was about the fact that it was her nephew that was the victim. If it had been anyone else then I'd say her reaction was believable but she didn't even seem angry with Debbie which is what wound me up a bit. I suppose I just preferred Moira in the early day's, I've never been a fan of Cain and Moira together. Anyway, no offence was taken and I respect your opinion! I agree about the storyline aswell! No matter what i think about Moira, Emma's death was an absolute joke. She should've went to jail and got the mental help she's needed for years imo. I did think Emma was a brilliant villain though. Last edited by alcapo11; 14-09-2018 at 09:42.